After what seems like a couple of days of more lighthearted posts, I turn to that most serious of subjects: Bathtubs! Every house needs at least one bathtub and to be honest, I’ve not seen a lot of classic mid century homes that have built-in showers rather than baths. On occasion, yes, and then they are quite small. 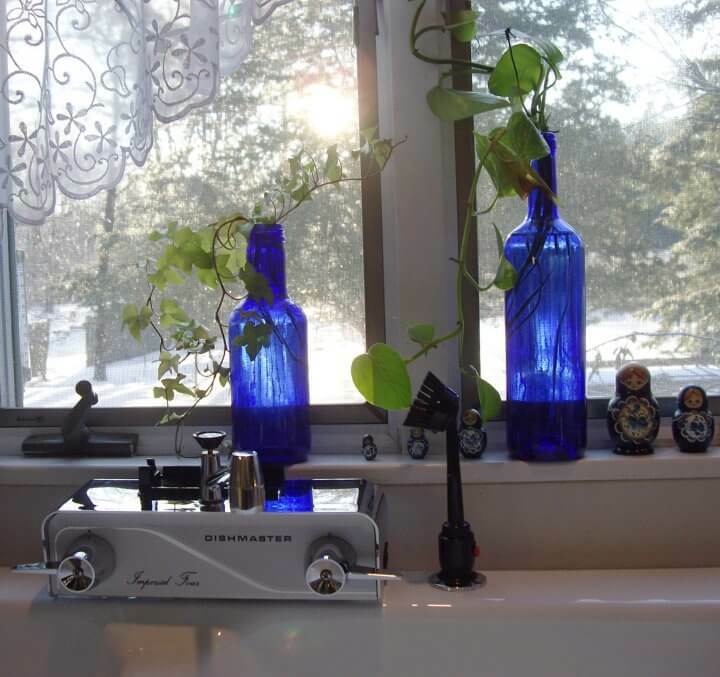 I did tons of searching when we retro reno’d our three baths, and I settled on Kohler cast iron, even though the tubs I replaced were steel. I like the solidity. I used a 5’ Dynametric (blue tub, below), and am completely happy, it’s very nice. You can also get this one 6” longer, which is great to consider if you’ve got the room – and the height! I also think that the smaller Seaforth 54” is sweet; the Villager, their value model is just fine, and I would LOVE to see someone install the corner-model Mayflower. 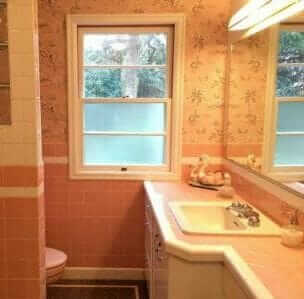 I think this would be SO 50s and great, for example, in a girl’s bathroom! Kohler also has some good colors to consider, I’ve shown them in some of the photos. Honestly, I don’t think they are perfect matches for 50s hues, but they are directionally correct if you’ve got the inclination. Personally – I used all white fixtures in all three baths – and tiled my wall in Olympia Maple Leaf tile, which had the 50s shades that I wanted. See previous posts. Tomorrow: Toilets! Don’t get too excited, now. The pictures aren’t loading. Is it just my computer? Very old story from before the days I was even RetroRenovation.com. Thanks, I saw those. My original tub looks similar to the one in the soaking tub story in that it has the three ridges all the way around the apron, but it’s an alcove tub. 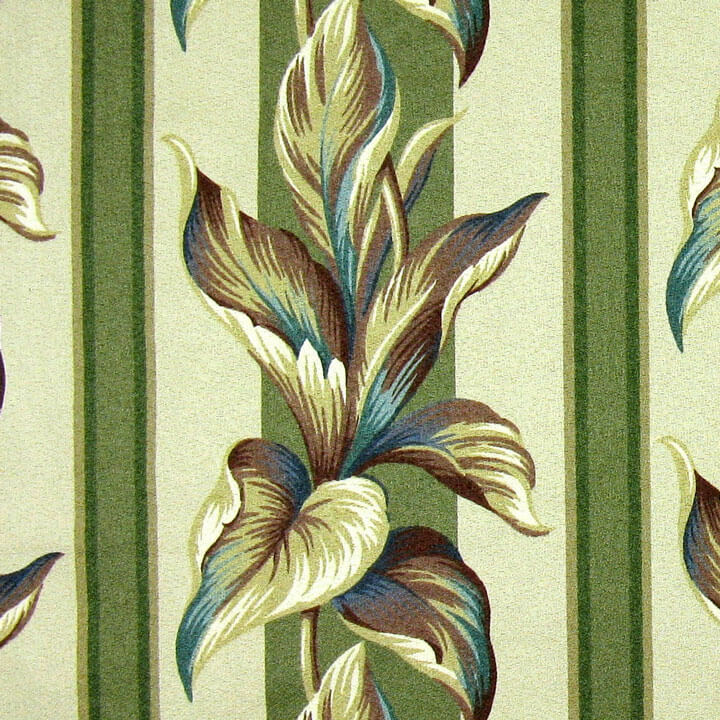 I’d like to find an old one or one that looks similar because the finish is so worn down. Luckily, because of a trip to WOT when it was closing, I have tiles that are an exact match so I can rip the tub out & replace tiles.